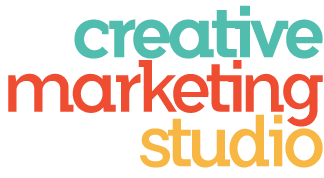 Creative Marketing Studio was founded by Jacqueline Greenwood in 2013 to strengthen her freelance marketing business and provide a solid foundation for growth. Jacqueline Greenwood is an experienced multi-talented marketing professional with a strong background in web design, database development, and internet marketing. She has helped many small business owners develop a powerful presence on the web by creating dynamic websites, utilizing social media and email marketing, and designing marketing materials and advertisements to support their brand image. In 1999, she founded SmartCollecting.com, a website that attracted as many as 1.5 million viewers per month and 20,000 email subscribers. Due to her website's success, she has been a paid guest speaker at Fairfield University Graduate School and was hired to write articles for national magazines. She has also taught computer and software application courses at St. Vincent's College. With over 20 years of experience in marketing, advertising, public relations and web design, Jacqueline Greenwood has the talents that are necessary to create innovative solutions to the challenges you face today. Put her talents to work for you!